So if you're looking to activate this feature on your devices, read on, as we show you how to move the Google Chrome address bar to the bottom of your screen. 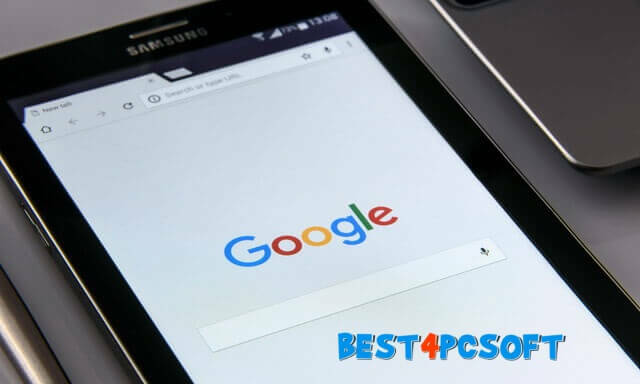 Using a Chrome web browser, for example ,on a big screen smartphone can be a difficult task, especially if you try it with one hand. The biggest problem of all is to access the address bar, which is available by default at the top in Chrome. Fortunately, Google understands the problems that users face and provided a native way to push the address bar at the bottom of your screen. 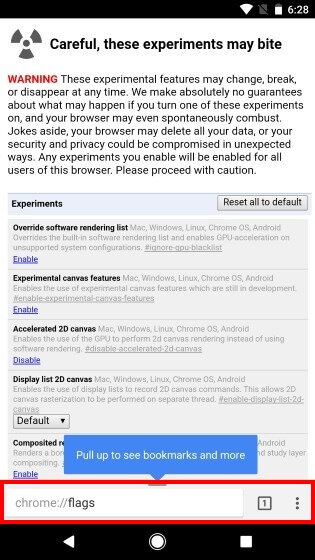 While the feature was available in the Dev and Canary channels, it finally made its way to the stable version of Google Chrome. 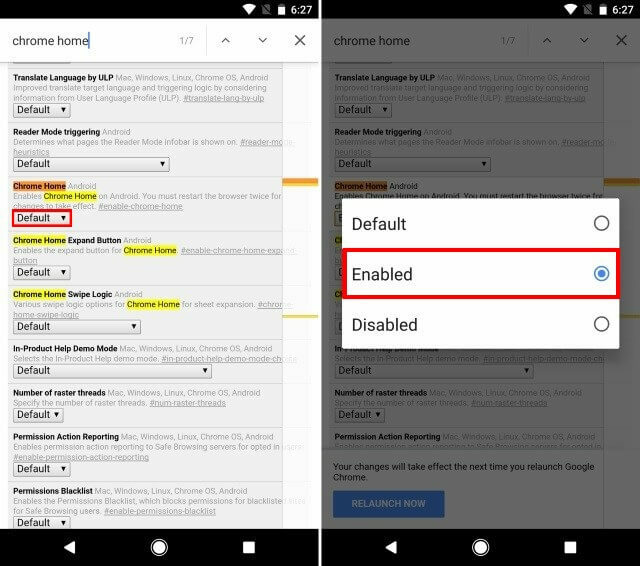 So if you're looking to activate this feature on your devices, read on, as we show you how to move the Google Chrome address bar to the bottom of your screen. Note : I tried the following method on my LG Nexus 5X under Android Oreo 8.0.0 as well as on my Moto X Play on Android Nougat 7.1.2 and the method worked well on both. 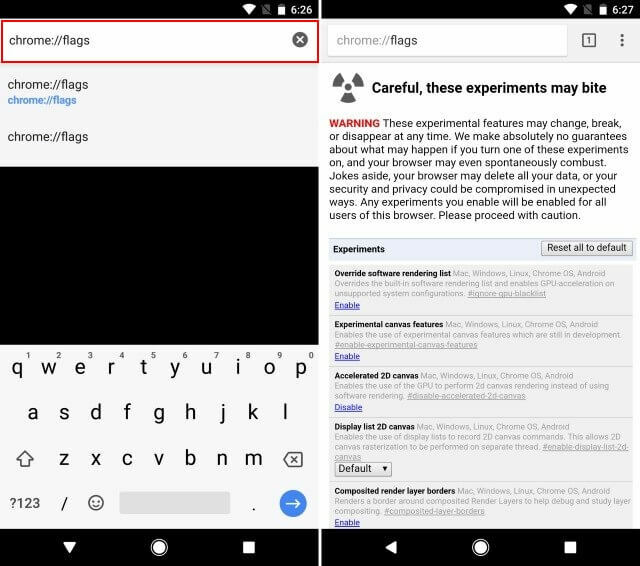 The Chrome flags page should now be open. Now press the 3-point menu button in the upper-right corner and select "Find in Page" . From there, search for "Chrome Home" . 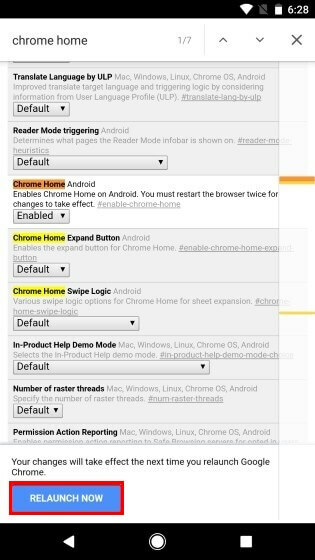 In the Chrome Home section, click "Default" . A drop-down menu should appear . From the list of options, select "Enabled" . Once you have done this, you will be prompted to restart the browser. Press "Relaunch Now" to restart Google Chrome. And that's all. Your address bar should now be at the bottom of your screen. Note : In some cases, changes may not occur when the application is restarted. In this case, force to stop the application and restart it should do the trick.